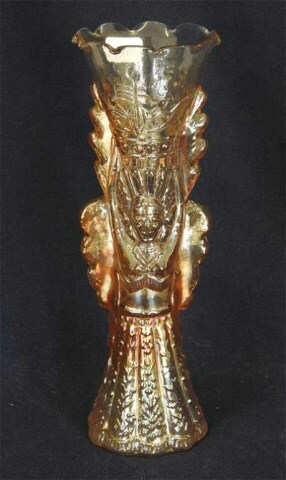 At least two versions are known of this unusual Indian vase. Found only in marigold. 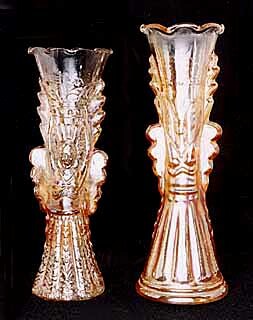 These are made by blowing the glass into a mold, as are virtually all items made by Jain. The two shown here are about 7 1/2 and 8 inches tall. These originally had been selling in the $400 to $600 range, but the influx of Indian glass into the Carnival market has dropped the price dramatically.